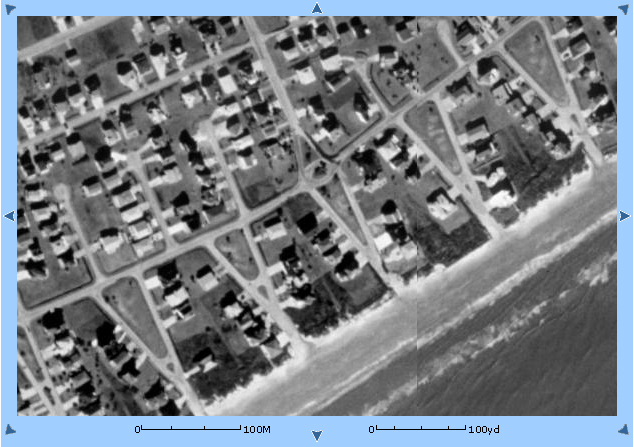 Sparing no expense, the Ross Pirates' Beach Weather Station has placed a satellite in orbit to obtain photographs of the Galveston area and the area around Pirates' Beach. The scale of each photo is noted, and some brief descriptions are provided. 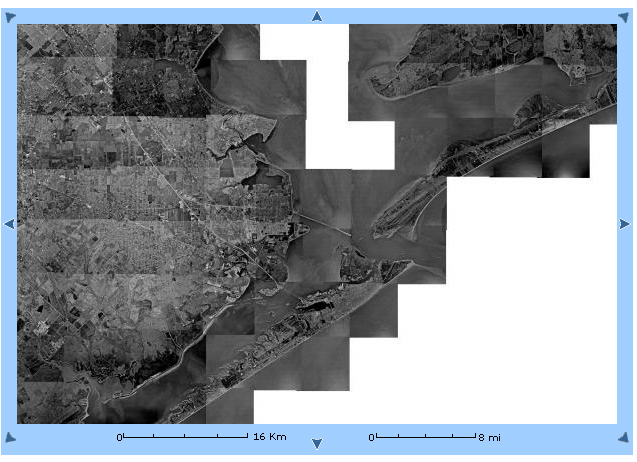 8 Miles per Inch: Overview of Galveston and the Mainland. Note Bolivar Peninsula on the right and Texas City just above Galveston. 2 Miles per Inch: Centered over Pirates' Beach. 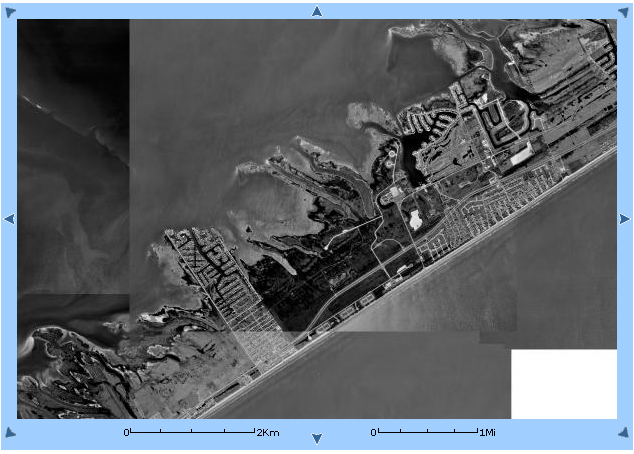 The larger dark area on Galveston just to the left of center is the Galveston State Park. 2 Miles per Inch: Centered over the Airport. The dark lake-like area on Galveston just to the upper right of center is Offat's Bayou. Note that you can see 61st street crossing the bayou. 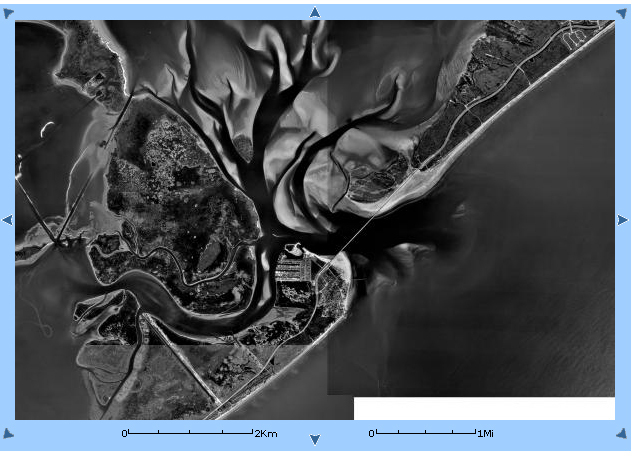 1 Mile per Inch: Centered over the Galveston State Park (the large dark area in the center of the picture). You can see Pirates' Beach and Cove and Lake Como just to the right of the State Park. 1 Mile per Inch: Centered over San Luis Pass at the western end of Galveston island. 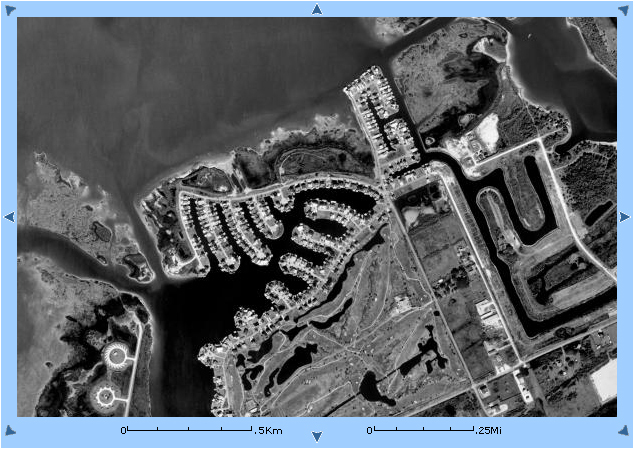 You can easily see the channel and sand bar patterns. 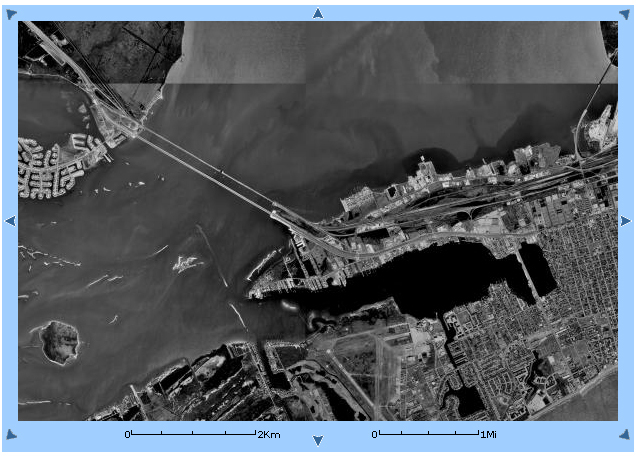 1 Mile per Inch: Centered over Offat's Bayou (the large dark area). Note that you can again easily see 61st street crossing the Bayou. The Galveston Causeway is also easily spotted. 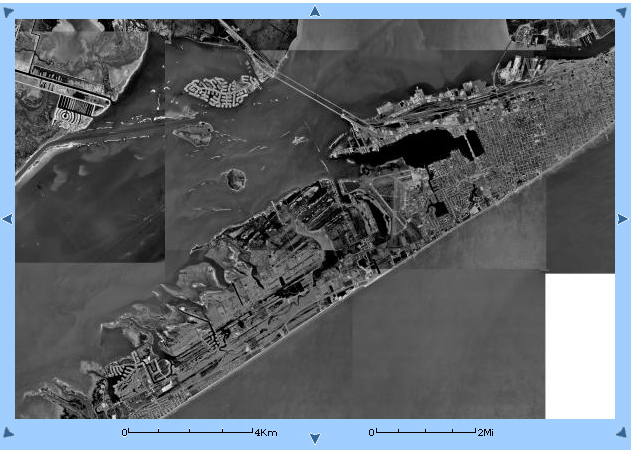 1/2 Mile per Inch: Showing all of Pirates' Cove and most of Pirates' Beach. You can also see the Galveston Country Club Golf Course just to the right of Lake Como (the dark area in the left center of the picture). 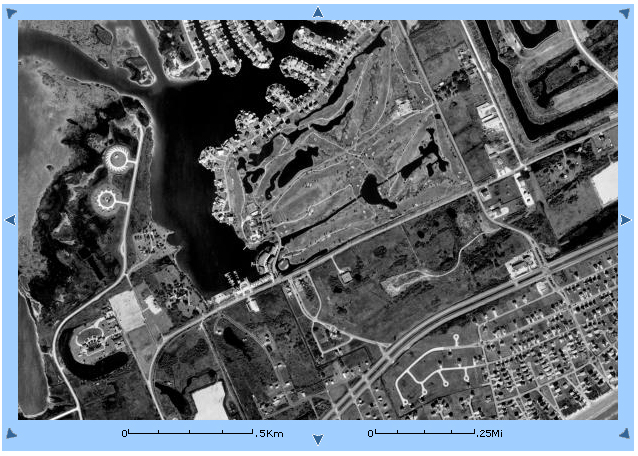 1/4 Mile per Inch: Showing a bit of Pirates' Cove (top center) and part of Pirates' Beach (lower right). You can also see the Galveston Country Club Golf Course just to the right of Lake Como (the dark area in the left center of the picture). 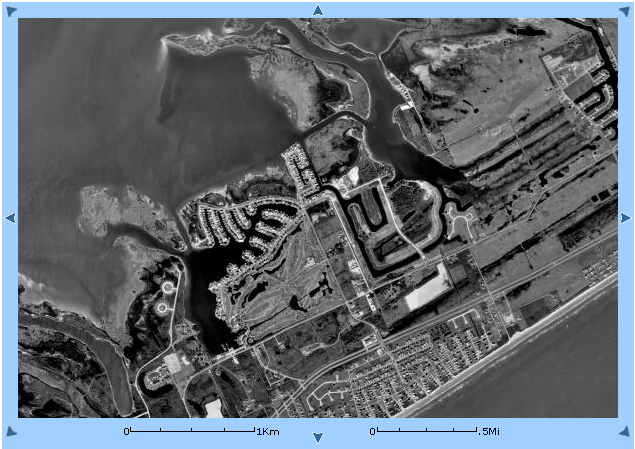 1/4 Mile per Inch: Showing all of Pirates' Cove (top center) and part of the Galveston Country Club Golf Course. 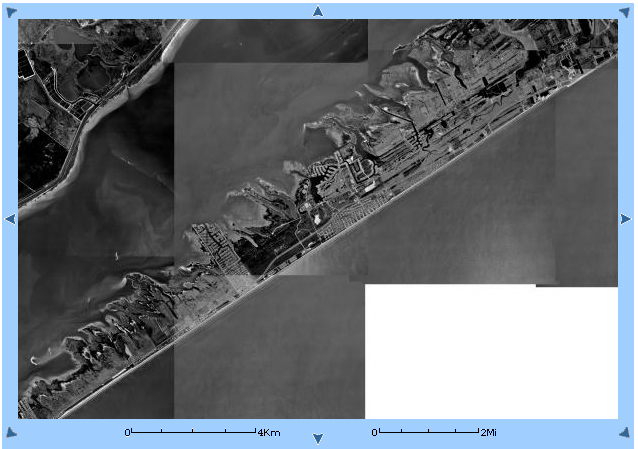 200 Yards per Inch: Showing a most of Pirates' Beach. .
100 Yards per Inch: Showing part of Pirates' Beach. The Ross Beach House and Weather Station is easily seen. Can you spot it? This photo is 2 years old, so the house which is now adjacent to the north of our house is shown as a vacant lot in this photo. 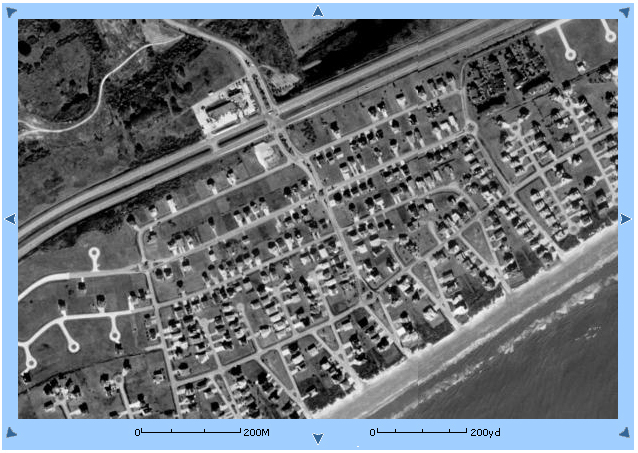 Drag the cursor over the above image to identify the Ross Beach House and Weather Station.